I almost didn't buy this book and have to admit to picking it up a few times in the book shop before I did. It was actually the subtitle "In the footsteps of Ansel Adams and the Great Masters" that was dissuading me from making a purchase. I reasoned (incorrectly) that this was just another book aimed at selling what I term "popular photography" and not really revealing how the authors own photographs were created. I don't mind admitting I was wrong. 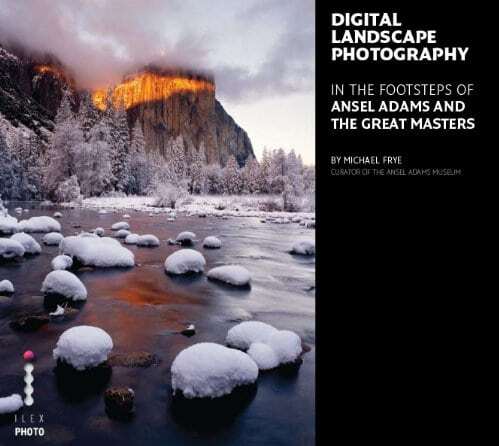 The author has put together a comprehensive guide that seeks to inform even good landscape photographers about how he creates his work. It is aimed at the beginning to intermediate levels and he has kept the text and descriptions quite accessible. Whilst I didn't transform my own work from reading the book I did pick up valuable insights into how this very accomplished photographer creates his images. In the course of doing this I gathered some new ideas with which to develop my own work. Best of all, I thoroughly enjoyed reading the book. The only thing that has prevented me scoring this book as a 10 is that the topics are too lightly covered for my own tastes. Personally I would have liked greater depth but then again that would prevent this book from being so accessible.